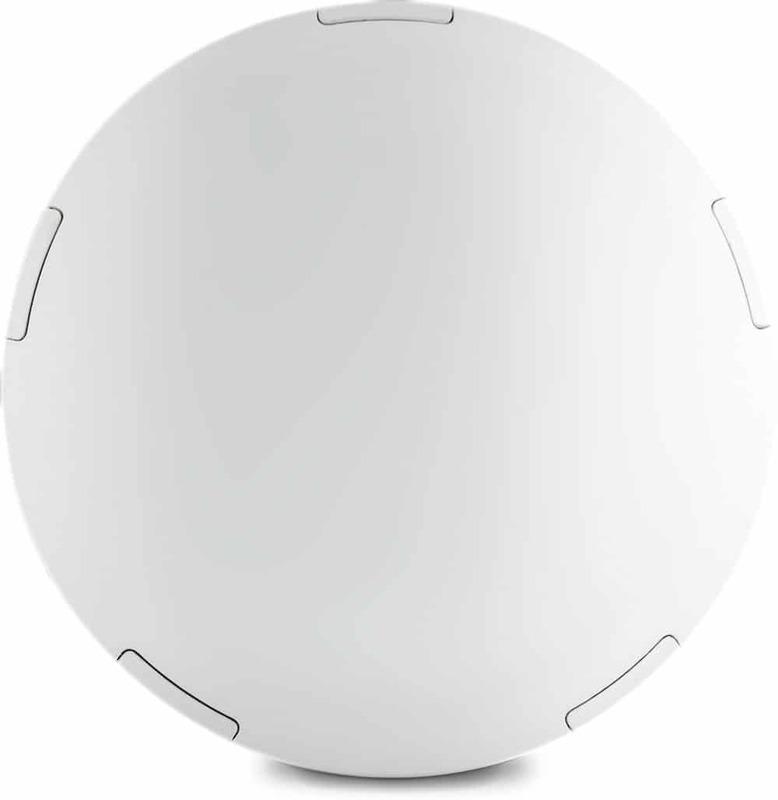 Cloud managed, mesh enabled wireless access Points. Full featured wireless for any environment. Open-Mesh has an access point and enclosure to fit your needs. Compare below. Numbers like 150, 300, 900 Mbps, etc. are the theoretical maximum total speeds the access point can deliver, including all Wi-Fi overhead, in a perfect environment. As a rough rule of thumb, these numbers are at least twice what you can expect in a real-world environment. Furthermore, it is generally not “good neighbour” practice to use wide (40 MHz) channels on 2.4 GHz as this uses at least two of the three available channels and interference from those extra channels would likely prevent it from working well. Therefore, the 2.4 GHz maximum is typically half that again. Note that since there are two independent radios in the dual band models, the maximum is the sum of the two bands (assuming at least one user on each band). Each model is built for a different goal, so it’s difficult to suggest which one is best for your particular use. The new A Series introduces a new form factor and will be used as the platform for additional models in the future. The two models are virtually identical to each other: the A40 is a 2×2 radio while the A60 is 3×3. The A60 can be compared directly to the MR1750. With enhanced radio and antenna design for improved receive sensitivity, the A60 gets similar range and performance to the MR1750 while drawing less power. The A60 adds a second gigabit Ethernet port and a USB port for future expandability. It also includes a universal housing kit so it can be mounted on Ethernet and junction boxes, and can be mounted outdoors without the need for an extra enclosure. Note: the A Series is 802.3af PoE only (no passive PoE or DC jack). The A40 sits between the MR1750 and OM5P-AC, our other 2×2 802.11ac model, in both price and performance. The A40 offers significantly expanded range along with the other benefits mentioned above. The best overall price/performance combination is the MR1750. This is a dual-band, 3×3 MIMO, 802.11ac-ready model in a traditional ceiling/wall mount design that’s ideal for offices, classrooms and conference areas. It can also be mounted in a weather tight enclosure for use outdoors. The best performing model in the OM Series is the OM5P-AC. It’s also dual band, but with lower throughput than the MR1750. It’s ideal for hotel rooms, dormitories, care facilities and small offices. This model can be used with a standard 802.3af PoE switch and our PoE injectors. The OM2P-HS offers great performance on the 2.4 GHz band only, can be used with a 802.3af PoE switch, and has a higher range than the MR1750 and OM5P-AC. If you would like to add 5 GHz support in your network, or you don’t need to support 2.4 GHz devices, then select the OM5P. We typically recommend a mix of OM2P-HS and OM5P models to gain performance and still support legacy devices. These models operate in different bands, so they won’t mesh, but users can connect to the same network through them. The OM2P works well when you don’t need as much speed or you need to use an external antenna. This model supports passive 12-24v PoE. It has approximately the same range as the OM2P-HS. The OM2P-HS, OM5P-AC, MR1750, A40 and A60 all support the 802.3af PoE standard that is used on PoE switches. Any of these models will work fine with a standard PoE switch. Nada. Zilch. Zip. Zero. All access points include a free lifetime license for CloudTrax. CloudTrax is a cloud-based network controller that helps you build, manage and monitor professional-grade wireless networks from anywhere in the world. The only cost is the hardware. How does Open Mesh compute power? There is no industry-wide standard for reporting power. Many companies will use the most favorable method of reporting power to make their devices look best versus competitors. We don’t. Our power ratings are always per antenna (not combined), average (not peak) and do NOT include the antenna power “gain” (really not gain, but focus in certain directions at the expense of others). Why are power supplies priced separately?